While all the major players get their bearings and the ripples settle from the events of two weeks ago, we return to a typical Case of the Week episode. But the tensions are still high and the return of familiar faces as enjoyable as ever. 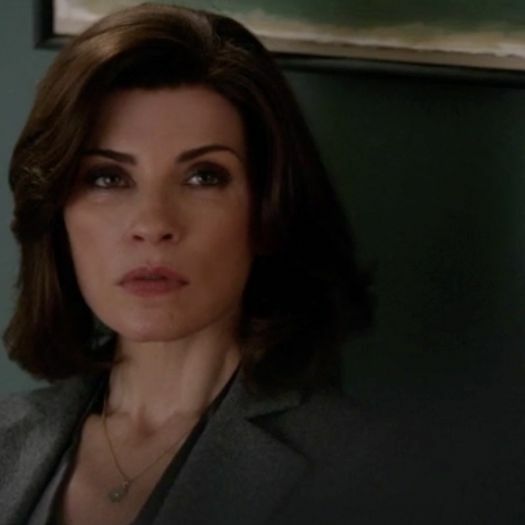 Tuck in with a tub of U Go Gurt and make sure your webcam isn’t on, here’s what we learned from last night’s slightly calmer episode of The Good Wife. Any of you who watched Weeds during its eight-season run on Showtime would have no trouble recognizing our Defendant of the Week: Hunter Parrish a.k.a. 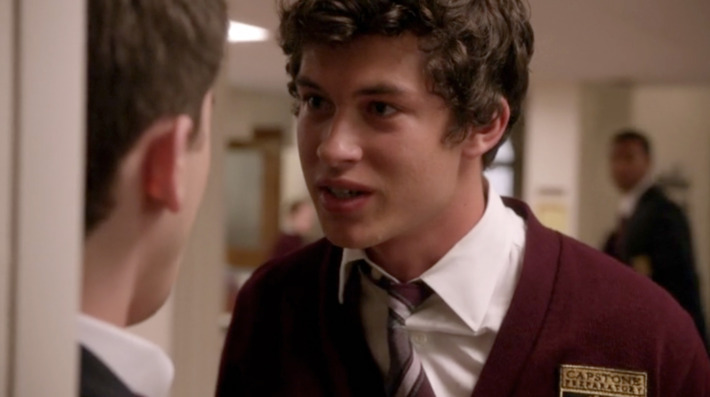 Silas Botwin a.k.a. Jeffrey Grant. Will heads down to the police station to handle the case personally for fear Jeffrey might jump ship and find Alicia. What follows is a fairly standard Case of the Week except for one key part: This is such an Alicia case. The worried, frightened young man? His constant need for handholding and reassurance? That’s Alicia’s wheelhouse and it’s fascinating watching Will try to fill her stylish yet shoes. ASA Geneva Pine only had 48 hours to hold Jeffrey and make her case, so this was somewhat of a “Race Against the Clock” scenario but far less tense than the season premiere. 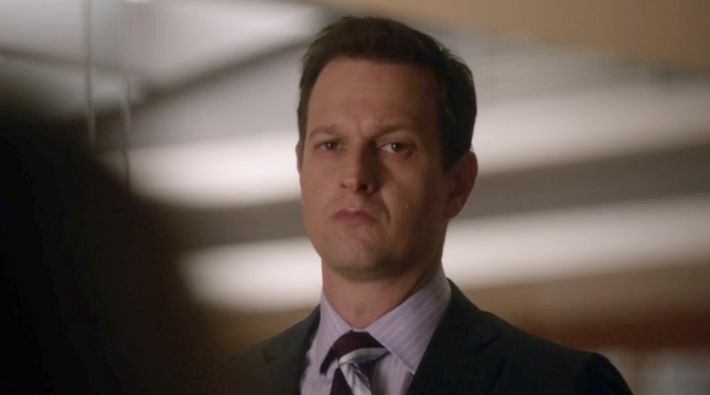 In a tidy bit of storytelling, Will runs smack into Alicia’s brother, Owen (the always welcome Dallas Roberts), on campus while investigating a red herring in his murder case. It’s not entirely beyond the realm of possibility that Alicia wouldn’t have told Owen about leaving Lockhart/Gardner because (a) It’s been a busy week for her and (b) she knows he’s president, secretary, and treasurer of the Will+Alicia fan club. 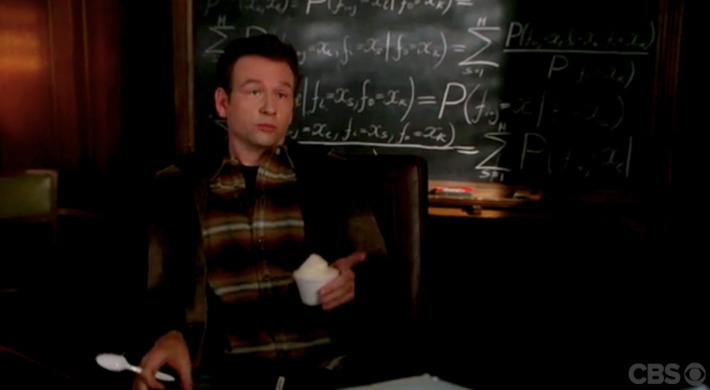 But because she didn’t tell Owen, it’s up to Will to break the news over a tub of U Go Gurt. I loved how Will handled this because his motivation was both self-serving (holding back the news until he had interrogated Owen a bit) and delicate toward Alicia. I really liked Will in this scene. But, of course, the scene between Alicia and Owen in her office/living room was far more entertaining. Between telling her she was in Warrior Princess Mode and the very true-to-life sibling confession that he enjoyed watching her flail, Owen was, as ever, amazing. He also articulates what most of us have been thinking. Alicia left because of her feelings for Will. This was, as Owen puts it, the nuclear bomb option. Between Baranski, Borle, Parrish, and Nathan Lane, this would have been the perfect excuse to have an all-singing, all-dancing intrigue and legalese hour. The last time we saw Nathan Lane’s Clarke Hayden was in last season’s episode called “Seven Day Rule.” This was, you may recall, the episode where Diane and Will offered partnership to several fourth years as a financial gambit to dig their firm out of debt. That very issue comes back around in this episode and makes it hard for Diane to stay perched so high on her horse. 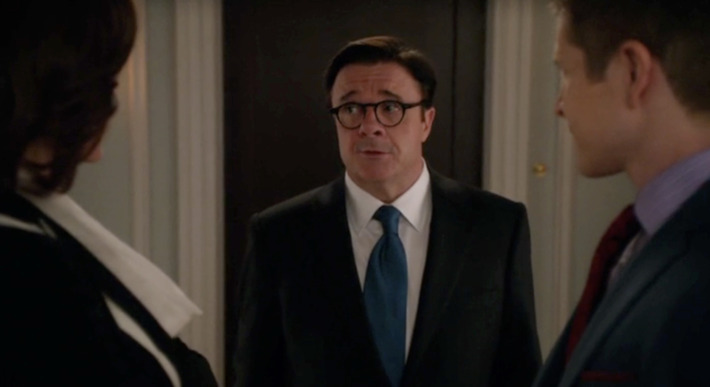 But, more to the point, Nathan Lane was a wonderful guest star last year and will be a welcome addition to the floundering Florrick/Agos team. Anyone else pick up a strange hitch in Nathan Lane’s delivery of “I like … the law?” Is there something else he likes? Someone else? I’m going to have to wait and see on the Bangalore Solution. Not quite sold yet. I said Clarke Hayden will be a welcome addition not just because Nathan Lane is adorable, but also because Alicia desperately needs more competent people on her team if this is going to be a fair fight. I can’t believe the Car(e)ys felt like that rat, Anthony Wright Edelman, blindsided them with his betrayal. All evidence points to him being extraordinarily disloyal and self-serving. It actually reflects very poorly on Diane that she hired him back. I suppose this is all a part of the new “crush our enemies” approach over at Lockhart/Gardner, but, frankly, Edelman seems unemployable. In addition to the kind of rats that desert sinking ships, the Florrick household was also infiltrated by a RAT, or remote access tool. Cary seemed pretty convinced it was Lockhart/Gardner (and the little one-act he and Hayden put on for their benefit was delightful), but I mistakenly thought it was the NSA. Though, admittedly, that seems a little clumsy for the NSA. No, it turns out it was Stiles and the evil minds behind a website called Capstone Cuties. 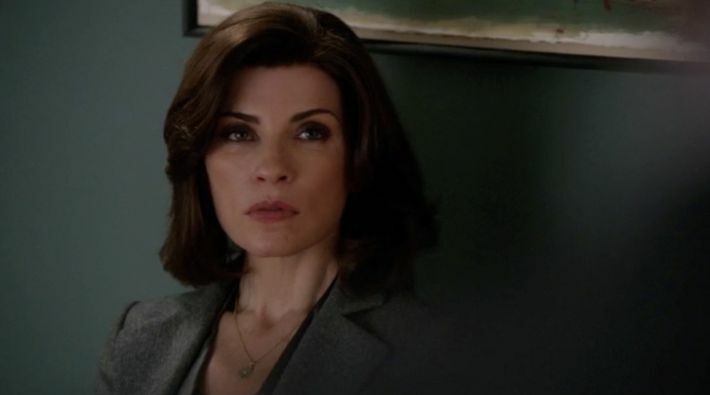 Zach gets to play the heroic older brother as we again revisit the Grace Florrick, Hot Politician’s Daughter plot. Grace and Zach are bogged down in this stupid story line and it had better tie back into the larger themes because it’s not paying off as a B-plot. It’s the second most frustrating story line on the show this week. The most frustrating plot, however, belonged to Kalinda, who was on Red Herring Patrol for the entirety of the episode. They really appear at a loss this year as to what to do with Kalinda. Her conflict in “Hitting the Fan” is the only intriguing story they’ve given her this year. I’m not saying we should bring back the terrible ex-husband plot. I still shudder at the thought of the Soft-Serve Incident. But Archie Panjabi deserves better than getting pushed into a pile of milk crates and scraping up gum. While this might have been a slower week, I find the moral battle being waged between Florrick/Agos and Lockhart/Gardner fascinating. The writers seemed to be working pretty hard to put us back in Alicia’s corner, or at least to pull us into the middle. Owen’s reminder that it was a vulnerability and not ruthless ambition that made Alicia leave was an important one. It was also important for us to see her “flail,” to use Owen’s term, and desperately try to rally her troops through their financial crisis. Her success with Chum Hum was interesting mainly for what it revealed about Peter. But we’re much more likely to be sympathetic to her if her transition is a rocky one. After some light extortion, she behaved admirably and without malice in her deposition on the Gopnik Adoption Case, so David Lee and Diane throwing her under the bus felt unfair. We also have yet to see Alicia’s reaction to the news that Diane’s judgeship has been revoked. That will be very telling. Finally, if Owen’s spoken assessment of Alicia’s very human and relatable motivations hadn’t made it plain enough, her face when she heard Will’s voice would have. We may not understand her loyalty to Peter, but we can understand her desire to remove herself from temptation. The echoes between Alicia and Will in this episode make our divided loyalties all the more difficult. Much like Alicia, he’s currently acting general at his firm, urging them to abandon in-fighting and “move together, act together, or leave.” As I mentioned earlier, Will was in the Case of the Week position usually reserved for Alicia, and watching him offer comfort to his young defendant and promising not to give up make him an extraordinarily sympathetic figure. That’s the kind of lawyer we want to root for. Not the kind who promises to destroy his enemies and spends an episode banging mentally unstable yoga blondes. We saw an old familiar Will and Diane dynamic here when they gave each other a joyful high five when he thought he’d won his case. And, finally, our hearts had to go out to him during that scene in the elevator with Owen and when he saw Alicia. If the show is trying to make me reinvest in the stale love triangle between Will, Alicia, and Peter, it’s working. Against all odds, it’s working.